1 death metal bands | This Blog Rules | Why go elsewhere? Death metal bands are a category of troupes that are commonly valued in the heavy metal groups, but simultaneously very questionable outside of those small communities. Amongst the motives of these disputes, many issues are linked to the music: the extremely discordant sounds, harsh vocals, the quick drumming, where the others’ problems are mostly with the morbid texts and sometimes Satanic or anti-Christian tendencies. Yet, this type of music is a fascinating heavy metal category because of its technicality and the music abilities that it needs. Slayer: Typically a thrash metal group, they often integrated various death influences and other several heavy metal components in their albums, which made them a lot more intense for the ears. An excellent album of this death metal band is the popular Reign in Blood, released in 1986. Morbid Angel: Formed as an Extreme Metal group over 30 years ago, with various trash influences in their early music. Possessed: It is one of the best death metal bands to appear, as they started performing in 1983. The American band’s albums are the closest to our modern extreme metal sounds. Other significant groups consist of Necrophagia, Death or Obituary. The fans can learn more about these bands by purchasing a few of their recording or by studying about their stories. 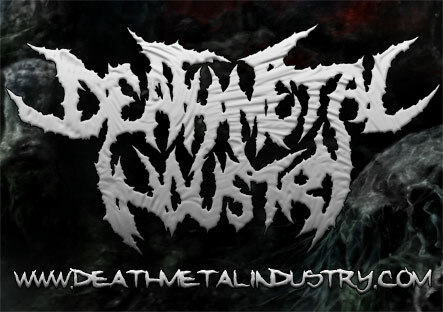 Modern death metal has appeared in the beginning of the 90’s, with groups like Cannibal Corpse, Suffocation or Nile. Here are a few tips to have fun with and get into this type of often-misunderstood music. Most of the times, many bands are simply metalcore or deathcore musicians who do not want to be associated with the death metal genre. Not that they hate these styles, but if you want to enjoy death metal, paying attention to these groups makes no difference, since enough of them have no business with this type of music. If something more melodic is what you really want, then the common Cannibal Corpse albums will not be sufficient, check out the progressive underground troupes such as Becoming the Archetype (their stuff in the beginning) or Vital Remains. These bands generate very melodic music, even symphonic, while preserving the important elements of death metal genre. You might think it is obvious, however many fans listen to death metal bands and initially they only concentrate on the vocal performances. What makes such music an exciting type is the mixing of all instruments: guitars, singers, bass and percussion. While in pop genre the true secret is the musician, to appreciate this category of heavy metal you have to concentrate on the musical elements themselves. It is a good idea at first to pay attention to the drums and guitar riffs. Knowing why the artists use some types of instruments and not others, is important in understanding what this music category is most focused on: the atmosphere. Powerful effects such as blast-beats or breakdowns at the drums, the tremolo, palm muting or sweeping on the guitars are very common for the genre. Technical death metal might be one of the toughest musical genres to perform, whether for the vocalists who have to train their voice in order to generate brutal growls and screamo, for the guitarists who must be experts in playing techniques such as sweeping, very quick tremolo and even the percussionist who must not only be capable to perform quick and complicated parts, but also to change pace and tempo signatures in only a few moments.